Stokowski Transcriptions. Music by Bach, Tchaikovsky, Mussorgsky, Purcell, Wagner, etc. Bournemouth Symphony/Jose Serebrier. Naxos 8.578305. Total Time: 61.28. Orchestral Transcriptions of Leopold Stokowski. Music by Bach, Tchaikovsky, Mussorgsky, Purcell, Sousa, etc. BBC Philharmonic/Matthias Bamert. Chandos CHAN 10900. Total Time: 80.19. These new recordings are both devoted to transcriptions by the great conductor, Leopold Stokowski (1882-1977). A further point of similarity is that in both, the orchestras are conducted by men who were Stokowski’s assistants with the American Symphony in New York during the 1970s. Jose Serebrier and Matthias Bamert, each of whom went on to a successful conducting career, not only retained a great affection for Stokowski, but also considerable admiration for the nearly 200 transcriptions he had made. These new CDs benefit greatly from this first-hand experience and will surely win new converts to the Stokowski appreciation society. When Stokowski began to make transcriptions early in his career, he often said that he was bringing great music to a symphony audience which otherwise might never hear it. This was certainly true of many of Stokowski’s transcriptions of Bach organ works. Stokowski had been an organist himself and knew this repertoire intimately. A work like the Toccata and Fugue in d minor BWV 565 was unlikely to be heard by patrons of Philadelphia Orchestra concerts at the Academy of Music. To my mind, Stokowski’s transcription of the Toccata and Fugue in d minor is itself a masterpiece, vividly capturing the originality and power of the original organ work. As it happens, this transcription, which became one of Stokowski’s signature pieces, was also featured in the Disney film Fantasia. This Stokowski transcription appears on both of the new recordings, and the performances are superb. But I would give the edge to Serebrier’s, which has an authority and a grandeur a few notches greater than Bamert’s. Both CDs also contain performances of Mussorgsky’s A Night on Bare Mountain — not a transcription but a re-orchestration, tarting up Mussorgsky’s rather austere original version into something more varied and colourful. This time, it is the Bamert version that is more vivid and thrilling with ‘in your face’ trombones and timpani, and beautiful oboe and flute solos in the quiet section near the end. While there is considerable overlap in the two recordings, the Bamert has a real rarity: Stokowski’s transcription of Buxtehude’s Sarabande and Courante, scored for solo ondes martenot and orchestra. Even Stokowski never recorded this transcription of the original organ piece. The ondes martenot is a keyboard instrument that produces an eerie sound, often used in horror films, but here it is exquisitely beautiful. 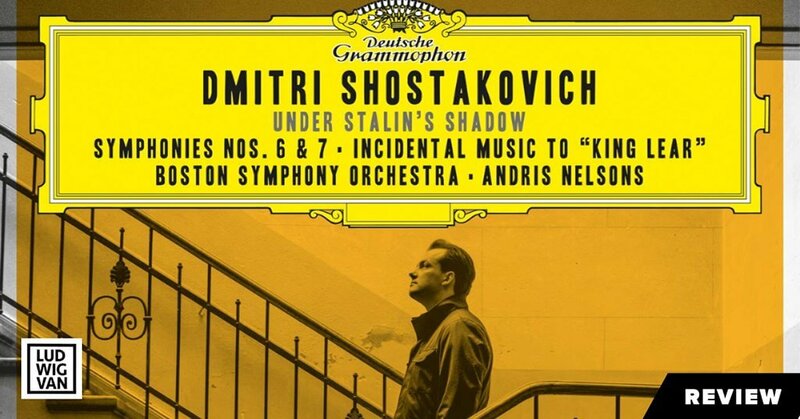 Another rarity in the Bamert CD is a second re-orchestration, this time of an excerpt from an early film score by Shostakovich, which, as re-worked by Stokowski, became known as the United Nations March. On the whole, the sound quality on the Bamert CD is superior to that on the Serebrier CD, and the Bamert also has the advantage in providing more than 80 minutes of music compared to just over 61 minutes for the Serebrier CD. It should be noted that most of the material on both discs has been issued before and that both conductors have already released four or five CDs of Stokowski transcriptions. Stokowski himself recorded most of these pieces in excellent performances, without the benefit of the latest technology. Stokowski fans should also be aware that Pristine Audio has just completed its four-volume series of “rare and unreleased acoustic recordings 1919-1924” by Stokowski and the Philadelphia Orchestra, through the joint efforts of Andrew Rose, Mark Obert-Thorn, Edward Johnson and Ward Marston. For details, visit Pristine’s website at www.pristineclassical.com.